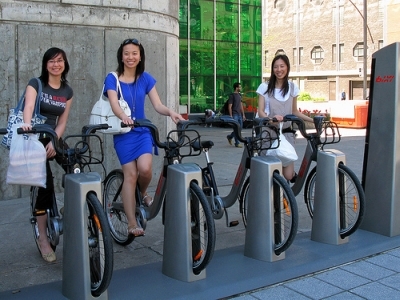 Having just discovered Montreal’s own foray into the modern bike-sharing world with “Bixi,” it got me thinking: Montreal must be one of the world’s top biking cities. And lo and behold, T+L has confirmed my suspicions, with Montreal coming in at number #4 behind, not suprisingly for anyone who’s been there, Copenhagen at #1, followed by Portland and Munich (#2 and #3 respectively.) Click here for the full list.